I was fifteen back then and always hungry. One time I was killing time in Astro Burgers in Los Angeles, West Hollywood. I sat watching Americans gorge themselves on burgers and fries. I hadn’t slept in a few days. Earlier in the month some punk rockers I knew found an abandoned hotel on Sunset Boulevard and told me I could take a “room.” The building was gutted and enormous, having seen its best days maybe some half a century earlier during Hollywood’s golden era. Now it was like the ghost of a bride whose suitor forgot to come for the wedding. A dark, depressing place where a murder might go undiscovered for months. Before the owners of the property finally spotted us and ran us out of there, I had a good couple of weeks of half-decent sleep in a room with a bearable amount of debris near an elevator shaft. My swan song for the hotel was throwing a bottle off the roof right over the traffic on Sunset Boulevard one night. Thinking about it now, I could have killed someone with that bottle, and it wasn’t the first or last time I courted violence for attention. It was the early 1980s. Back in Iran there was a war on. Our father had died of a stroke a half a year earlier and suddenly my brothers and I found ourselves alone on the streets of America. I had stopped going to school. The city is also shelter. But if you don’t have either food or shelter, then you are in the city and you are not in it. You are in a liminal space, a no man’s land where you are visible and invisible. You are homeless. And it shows. You haven’t changed clothes in weeks and you don’t smell so good. But you are fifteen and don’t much think about these things. At fifteen you are invincible. Which was how I felt that day in Astro Burgers. Hungry and sleepy ever since we’d been chased out of the hotel, but still waiting for my luck to change. That apparent luck came in the form of a big man in his mid-fifties who stood above me smiling. “You look like you want one of those burgers,” he pointed. “Buy you lunch?” Sure, why not? I thought. In those days anybody could buy me lunch. An hour later when this same man, who had a picture of his wife and daughter on the mantelpiece of his apartment in the Valley, was chasing me around his dining room table, I vaguely remember thinking to myself, “You stupid fool! Why did you accept his offer of lunch? And why the hell did you have to agree to come to his place so he could show you his fishing-rod collection?” I was scared, but had to stand my ground; I said, “You can’t get to me. I’m faster than you. Might as well unlock that door and let me out.” He eventually did. He was out of breath and beaten, not because of my fearlessness but because of his being out of shape. I laughed in his face before I closed the door behind me. It was nervous laughter. I had dodged a bullet. Los Angeles was cruel and hot. It wasn’t really a jungle; it was a wasteland of car lots and pointless dreams. I’d see other Iranians, all of them recent exiles who were trying to make their way in the new country. All of them in a hurry to resettle and get rich. I had nothing to do with them; I never spoke Persian back then. But to stay on the good side of the punks, I faked a British accent and pretended I was from the southwest of England. I had an entire narrative ready about that, because narratives, I felt instinctively even back then, give you a sense of completeness, especially in a time when nothing in your life is complete. As the months passed I got thrown in jail a few more times. A street fight here, a minor weapons charge there. Though none of these were serious enough offenses to keep me in for more than a few days. In jail they at least fed you. Though that wasn’t a good enough reason to stay inside. While on the outside, life was mostly watching the world from the poor end of a sparkling window; America, ultimately, was a glass display where I could not reach what was on the other side. I was left out in the cold and didn’t possess a language yet that would allow me to negotiate my way in. So I tried to shape up, become a better person, so to speak. One way to do that in my mind was to leave Los Angeles, the place that had done me so much damage. At sixteen, then, I found myself in New York City. My other brother Sardar, who was a year younger and whom I’ve always called Sid, came with me. The two of us would watch each other’s backs. We had turned into hard-hitting street boys and Sid was a lot tougher than I was. He could hold his own against just about anybody. He would have never given up his belt in that Los Angeles juvenile hall. Thankfully, New York, unlike Los Angeles, wasn’t a wasteland. But it was damn cold that winter. By now, however, Sid and I knew our way a little bit better in America. We got jobs. Low-level work, mostly in restaurants, to put some money in our pockets. At nights we stayed in homeless shelters for boys our own age. Those places were something between an army barrack, a school dormitory, and a jail. But they were also none of those. They were in-between places for in-between people like us. At a shelter in the East Village that I slept at for a while, the guard would barge into our dorm at six a.m. and shout, “Get out of your homes, get out of your homes!” Our “homes” were simply two rows of cots for twenty boys, and our possessions were the clothes on our backs. We had nothing and we wanted everything. We were hungry. They fed us breakfast. And then we would go out into the New York day with still more appetite in our eyes. So long has passed since those times. For a while I carried a chip on my shoulder—the world had, I believed, thrown me and my brothers to the dogs. 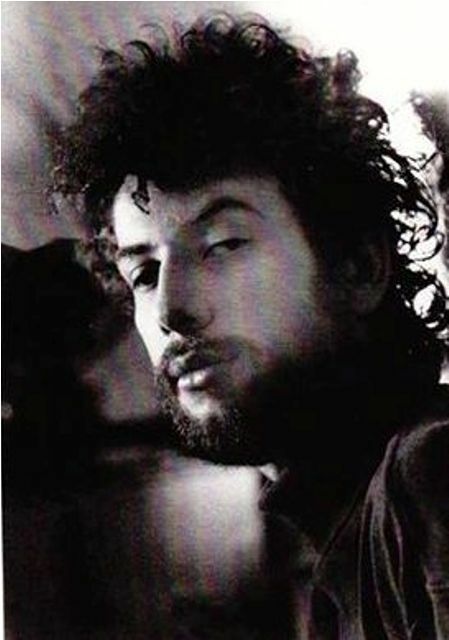 Still, I ended up going to night school, then college, then I travelled the world and lived a few years in Tehran, where I fell in love with a city that has never, ever tried to seduce me. Finally, at some point, I returned not to Los Angeles but to New York, to Manhattan, no longer intimidated by that island, nor even much impressed by its insular and therefore provincial ways. Year after year I saw writers and artists and actors and filmmakers and poets and men and women of every persuasion come through its portals with bubbling enthusiasm and dreams of success and fame, only to still be working the same no-hope, dead-end jobs a decade, then two decades later before they ran back to their original cities with their tails tucked between their legs. Nothing can expose a “maximum” city like New York’s cruel reality more than individual failure. That first time I was leaving New York (not quite seventeen yet) I felt that I too had failed. The city had exhausted me, run me into the ground. I did not know back then that there was still plenty of time to fail and fail again—in life, in love, in art, and most of all in satisfaction. During those last couple of days of my prelude to New York, I recall having only two bus tickets to California in my pocket and nothing else. I did not want to go back to those homeless shelters anymore. To take my revenge on the hard city, I decided we would go into restaurants (not unlike places I had worked at in the past year), order the dishes we liked, eat, and then simply run away without paying. The first time we did this, there was a feeling of elation. The second time I was hesitant and the mad dash after all the food we’d eaten gave me the cramps. After the third time I knew I would never do this again. I had to allay my hunger, and also the anger at my hunger, in some other fashion. I had to learn that the balance of the world, or at least my world, would not arrive with half measures; I had to learn that tomorrow I would be hungry again, and again. There is a holy quality about covering such vast, empty distances, and doubly so on an empty stomach. All of this took me a while to figure out (and to this day, I am still trying to figure things out), but I think that maybe, just maybe, I took my very first tentative stride to becoming a writer— someone inclined to insight rather than a blind angry reaction to the injustice of the world— when I saw that famous New York skyline disappearing on a California-bound bus that would take four days to reach its destination. It would be a continental ride where I had a lot of time on my hands and no more than a couple of dollars on me. I am tempted to say that the hunger of those four days meant nothing. But it did. It was acute at first and then it slowly began to fade. As if I were fasting. And waiting. There is a holy quality about covering such vast, empty distances, and doubly so on an empty stomach. It’s a particular kind of death, really. Yet if you do manage to come out of it at the other end, there is a chance that a city awaits you somewhere—maybe not a particularly pretty city or an especially welcoming one, nor a place that will dampen the many painful hungers and disappointments you’ve known throughout your life. And yet, after all’s said and done, it may be a city whose contours, whose coarseness and occasional vulgarity, are exactly those of the lover you’ve always been longing to meet. A teenage Mexican tries to survive on his own on the southern border of the U.S.
A teenage immigrant from Russia adapts to life in New York's Brighton Beach neighborhood. Salar Abdoh immigrated to the U.S. from Iran as a teenager. In this memoir, he remembers being young and hungry in L.A. and New York. Published Nov 28, 2017 in WWB Daily. Copyright 2017 Salar Abdoh. Salar Abdoh’s most recent book is Tehran at Twilight. He lives in Tehran and in New York, where he teaches in the MFA in Creative Writing program at the City College of New York. 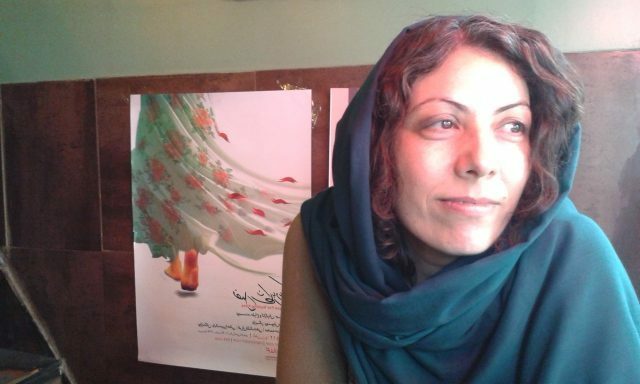 Habibe Jafarian is a Tehran-based journalist and the author of several award-winning biographies in Persian. 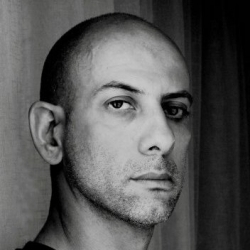 Jafarian is senior editor at the Iranian film journal 24. Look through a photo gallery of Salar Abdoh as a child and young adult. Age 15, Bay Area, Northern California. 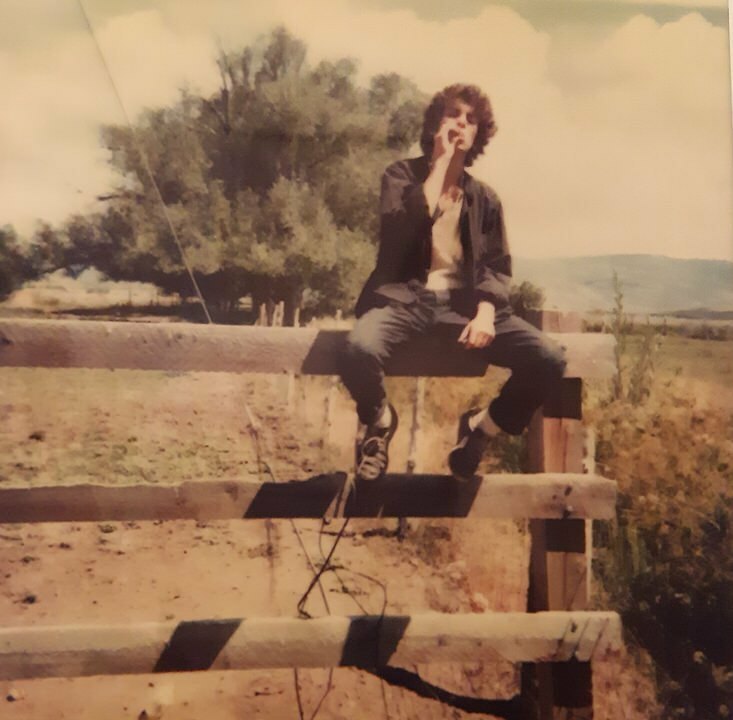 Age 17, Utah, during the cross-country trip from NY to CA described in the essay. 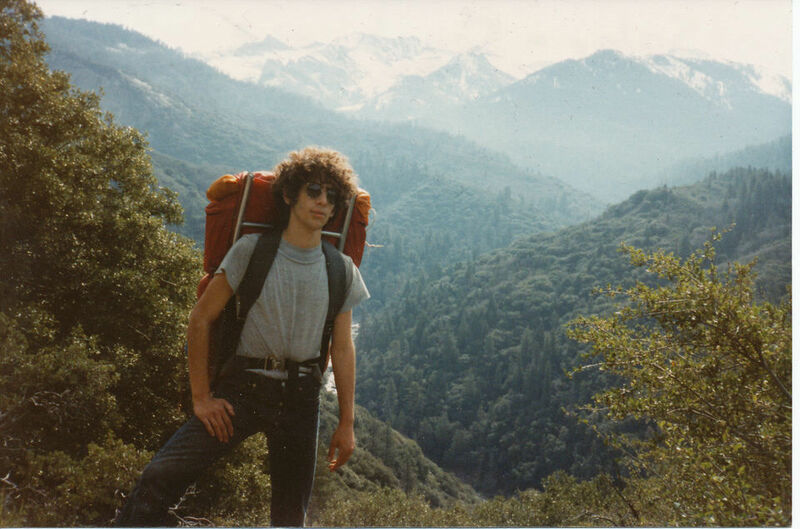 Age 18, Sequoia National Park, CA. Then, watch Abdoh discuss Iranian culture and literature: "Iranians Are Extremely Curious About the World." 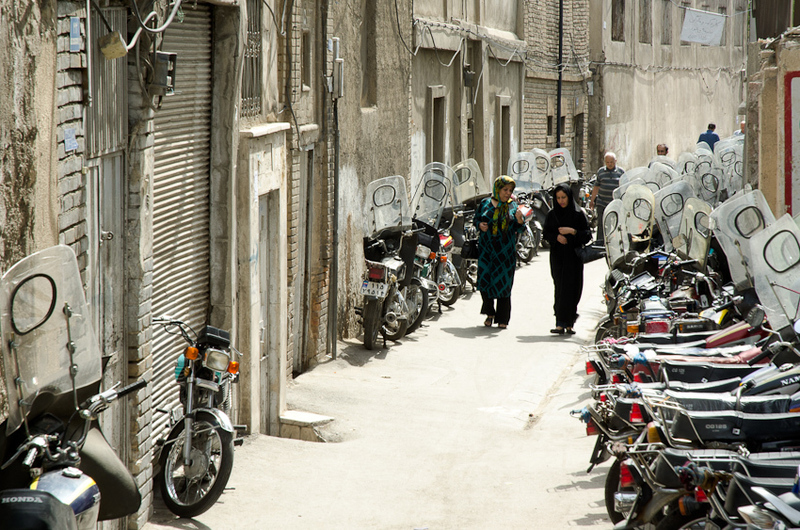 "Back in Iran there was a war on..." Abdoh writes in the essay. Read about Iran-Iraq war, which was one of the reasons he left Iran, in this BBC article and timeline. Salar made friends in the L.A. punk scene --- look through photos of the scene in John Brian King's Punk Daze. “I went to Hollywood to 'make it', but didn't, and ended up taking pictures of Hollywood, capturing scenes of others 'not making it' as well.” Look at Matt Sweeney's collection of images Hollywood Streets, 1979-1983. At the same time, in the same places where Salar Abdoh and others went hungry, “rock’s most excessive scene” unfolded --- look through Rolling Stone's Decade of Decadence: A Timeline of the Eighties Sunset Strip. 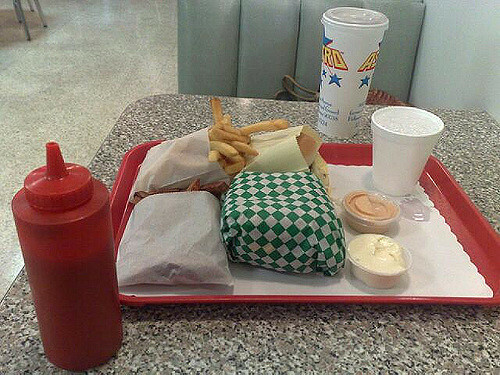 A meal from L.A.'s Astro Burgers, 2010, by Kevin. See photographs of Salar's next home, New York City's East Village, from Tony Mangia’s independent weekly The Other Paper and Ken Schles' book Invisible City. Below, watch footage of the '80s East Village at night. Then, watch Abdoh reading from his novel, Tehran at Twilight, about two Iranian-American friends with opposing political beliefs. You can find that novel, and others, on Abdoh’s Google author page. Get to know Salar's older brother Reza, a child prodigy and theater pioneer who "inspired all manner of fantastical tales" --- Imprisoned Airs: A Conversation with Salar Abdoh. From right to left: Salar, Reza, and Sid Abdoh. Find out about translator Habibe Jafarian's life in Iran in her essay "How to Be a Woman in Tehran," soon to be re-published on WWB Campus. When Salar Abdoh and his family entered the U.S., the Refugee Act of 1980, which expanded refugee admissions and created an agency to help new arrivals to the U.S., had just been passed. However, U.S. immigration policies have drastically changed over the last few years. If Salar and his brothers were trying to immigrate to today's America, would they have been allowed in? Read a summary of the Trump administration's "Travel Ban 3.0," which halts immigration from Iran and six other countries, from the Association of International Educators; or watch the first three minutes of this PBS NewsHour video, featuring immediate reactions to the court ruling upholding the ban in June 2018. 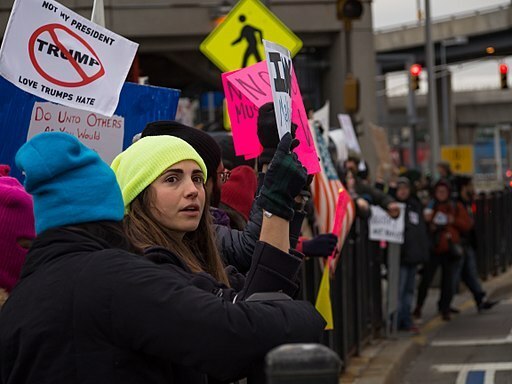 Protest against Trump administration's first travel ban, JFK Airport, New York, January 28, 2017. By Rhododendrites. Finally, find out how young Iranian-Americans in today's L.A. are "breaking down a lot of the assumptions other people have about us" in this video from Al-Jazeera. Meet another Iranian who came to L.A. at roughly the same time as Salar Abdoh, but had a very different experience: Andy, "The Prince of Persian Pop." He appears below in a segment from the Frontline documentary "Our Man in Tehran." Girls and women aren't mentioned in Abdoh's esssay, or in many of the other memoirs that emerged from the 1980's punk scene. Visit a recent exhibit on this "lost chapter in punk music history" --- VEXING: Female Voices of East L.A. Punk. Then, watch a student's mini-documentary: Tastemakers: 80 Years of East L.A. Youth Culture." How many young adults and children go hungry today? Visit the U.N.’s Zero Hunger campaign. For newcomers to the U.S., the chances of going hungry have just increased: read about new policies discouraging immigrants from asking for food assistance. When Salar Abdoh goes back to visit today's Tehran, does he see Iranians "gorge themselves on burgers and fries," like the Americans at Astro Burger? Find out "How Bootleg Fast Food Conquered Iran" in an article from Atlas Obscura. 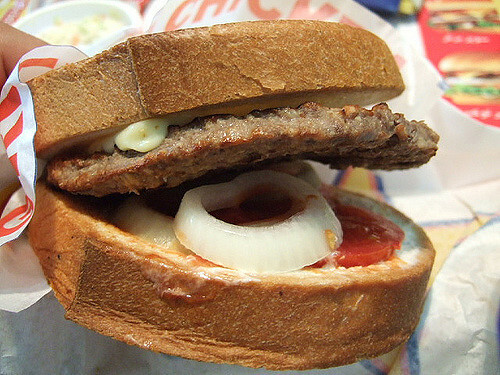 SFC "country" burger, Iran, 2005. By toyohara. 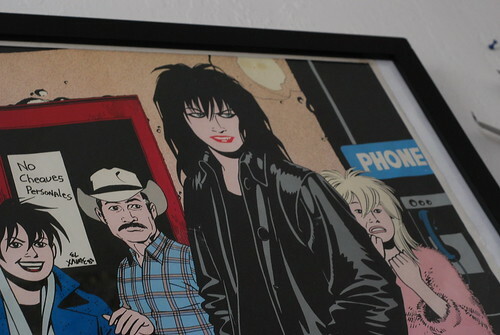 Framed poster depicting Love and Rockets characters Hopey and Daphne. By Jennifer Yin, 2008. An Interview with Wu Wenjian: An oral history from a Chinese protester who says, "I was nobody, like a piece of sesame in a big pot of soup." My Madre, Pure as Cumulous Clouds: A linguist's essay about a word that can be a curse. Elie Wiesel, age 15. late 1943 or spring 1944.